The end of 2010, my little dog — a 7-pound Papillon — became very stressed after a flood in our house forced us to move into a small hotel room for many months. Moving to a strange location, my own stress, workmen tearing up our house over several months, and a chaotic schedule caused my dog so much anxiety that her little system began to fail. Within a month, my dog lost her appetite, started throwing up, became arthritic and irritable, began to have seizures, and she lost her vision, hearing, and sense of balance almost overnight. Soon after she stopped eating, my little fur buddy stopped drinking. I took her in to see our regular vet several times, but her health continued to decline. The last week in December, I had to have her rehydrated and for some reason, B-12 shots (Cobalamin or Cyanocobalamin) popped into my head, so I inquired about them. My vet said it couldn’t hurt, so my dog had her first B-12 vitamin injection and she showed mild improvement for a couple of days. However, on New Year’s Day, my dog had again stopped eating and drinking and was lethargic, so I took her into the emergency veterinarian. They tersely informed me my dog had no quality of life and should be put down. Instead, I asked them to rehydrate her, and I again requested a Vitamin B12 shot. My dog showed mild improvement again. Although my dog didn’t suddenly get better, after four weekly shots of B12 and some other changes, my canine friend was on the road to recovery and is now a healthy, happy little Papillon again, although she still needs regular injections of B12, usually every two weeks. Why B12 Vitamin Shots for Stressed Dogs? B12 is not only a vitamin that humans take, but it benefits dogs as well. It is one of the eight B vitamins. All the B vitamins are important for a dog’s health, energy and appetite, but B12 has some specific benefits that helped save my dog’s life. Here are the top ten benefits of Vitamin B12 shots for our canine friends and why shots of Vitamin B12 may help dogs live a longer, healthier life. Vitamin B12 is a vitamin which helps prevent anemia in dogs. Anemia can lead to appetite problems, lethargy, and immune system weakening. Vitamin B12 helps the dog’s body naturally produce healthy red and white blood cells. This helps alleviate the symptoms of anemia in canines and can result in increased appetite and higher energy levels in dogs. Vitamin B12 plays an essential part in the synthesis of several enzymes which play an important role in many biological processes in a dog’s body. It also assists in fatty acid synthesis. Vitamin B12 shots are often used to treat intestinal conditions that result from bacterial imbalances such as bacterial overgrowth, increased toxic metabolites, and pancreatic conditions. Treating these conditions can lead to a healthier dog with a more robust appetite. While B12 is good for dogs with anemia or enzyme problems, Vitamin B12 shots help increase the appetite of dogs, even if they are not suffering from anemia, enzyme problems or other intestinal conditions. Many underweight dogs or sick dogs may need to get regular B12 shots to stimulate their appetite and energy levels. Vitamin B12 shots also play an important part in nervous system function in dogs and energy production. A B12 shot increases energy and reduces tiredness, depression, anxiety, and lethargy. Vitamin B12 shots promote health and a sense of well-being in both people and their canine companions. Vitamin B12 shots are involved in the metabolism of every cell in a dog’s body and are especially important in DNA synthesis and regulation. My vet is not the least expensive in town, yet a B12 shot for my dog is only $3. I spent well over $1000 on vet bills from November 2016 through March 2017. I imagine I could have saved more than 90% of that cost had my vet recommended B12 shots when my dog first began losing her appetite and show signs of distress. While B12 is found in most canine vitamin supplements, my dog was refusing to take any oral vitamins, and with B12 injections, more of the B12 vitamin is delivered to the dog’s system than through conventional vitamin supplements. Another nice thing about B12 shots is they seem to be painless to dogs. My little dog is a big sissy, yet she shows no after-effects or pain after her Vitamin B12 injections. Vitamin B12 has extremely low toxicity. While petplace.com reports that a congenital B12 malabsorption syndrome has been reported in giant schnauzers, border collies, beagles, and in cats, the vast majority of dogs show no harmful side effects from low doses of B12 vitamin shots. This article was written eight months after I was told to put my dog to sleep. She is a healthy, happy little Papillon again, and Vitamin B12 shots helped bring her back to health. B12 shots are helping her stay healthy while we remain in an ongoing stressful situation. Neither my own vet nor the emergency veterinarian suggested B12 shots when my dog began to fail. I had to go with my gut instinct and request the Vitamin B12 shots for my dog as well as do my own research. 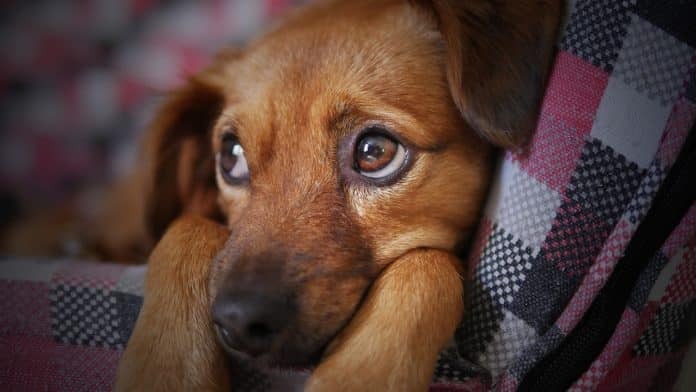 I hope my experience and the 10 benefits of B12 injections for dogs I shared will help other pet owners avoid the horrible ordeal of almost losing a stressed-out canine companion.